In Atlantic Canada a hot topic amongst employers is the difficulty organizations have attracting and retaining top talent. 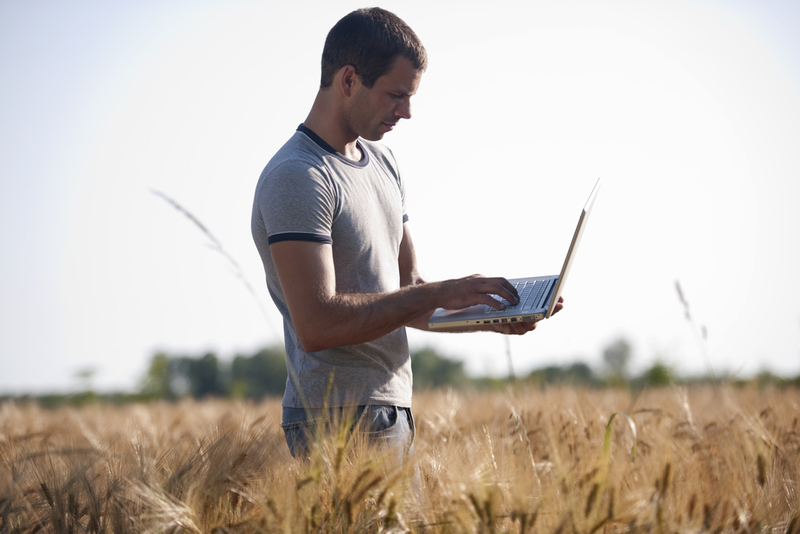 If your business is located in a rural area, that challenge is felt even more acutely. Many of our clients with operations in rural areas site attracting top talent to be there number one challenge. There are several common obstacles our clients face in rural recruiting. Firstly, organizations struggle to capture the attention of potential candidates. Once an applicant does materialize the second challenge is assessing the applicant’s motivations. Employers often fear that a candidate may be considering the job because they are desperate for work or that the candidate hasn’t truly considered the lifestyle impact of a move to a rural area. As one client recounted, “once the new hire asked where she could get Kobe beef, I knew there was going to be a problem.” Finally, it’s not just the candidate whose wants and desires you need to consider, but also the candidate’s family. Relocating a family can be difficult if a spouse has a specialized job that is difficult to duplicate, or if the candidate has a child in grade 11 who isn’t keen to move for their final year of high school. Our team has had a lot of success assisting our rural clients in attracting candidates. In fact, 40% of our recruitment efforts are for clients in rural locations. So what can you do to increase your success rate in attracting candidates who have both the required skills and motivations to join your organization? 1. Consider “What is your story?” – Organization’s with rural operations often have a great story to tell. It may be in relation to the history of the company and how it came into being or the product you sell and how it supports the surrounding community. Many candidates like the fact that an organization has decided to keep their operations in a rural community. All of this becomes a part of your employer brand image and will help attract candidates with similar values. 2. Showcase opportunities for advancement – We often encounter qualified candidates who would love to live a rural lifestyle but are afraid that there would be a lack of career choices and opportunities for advancement. Highlighting the opportunities a candidate will have to grow within your company can relieve fears and help attract potential employees. Similarly, if your organization is expanding, adding new product lines, adding new machinery or capabilities, or changing in a positive way, promote these advancements. It will make your organization even more appealing. 3. Rural roots may improve fit – Beyond attraction, employers need to consider motivation as it will have a significant impact on employee engagement and retention. When evaluating a candidate’s motivations for moving to a rural community there are several drivers that often equate to a higher long-term success rate. We have experienced the most success recruiting candidate with local rural roots – those who are originally from a rural community in Atlantic Canada. This candidate has likely moved away for university and then started a career elsewhere but is typically excited about the opportunity to be back in a similar community. We have found this type of candidates is much more likely to stay with the organization for the long term. The second type of successful candidate is someone who has any rural roots, no matter where in the world that rural community is. Considering a candidate to move to your operations in the Annapolis Valley? Someone who lived in rural Saskatchewan is more likely to be a fit than a candidate who grew up in Toronto. You want to make sure your new employee will enjoy the rural lifestyle that your location offers; for the right candidate this will be a big selling feature. The third type of potentially successful candidate is someone who has Atlantic Canadian roots and is driven to return to be closer to their friends and families. 4. Dig deep – Now that you know what to look for, how do you find these candidates? It does take some digging, and often times this is why our clients have engaged our recruitment services, but there are several avenues you can use to compliment a job posting. LinkedIn can help to identify candidates currently in or originally from Atlantic Canada. Using key word searches you can start with candidates currently in your province and then work your way across the country to identify candidates with rural roots or local connections. Even if they no longer live in the province, they could either be interested in returning or have a friend or relative who might be. Also consider university alumni associations. There is a good chance that if someone went to school in the region they may be interested in returning or may know someone from their school days who could be enticed. Often alumni coordinators are willing to send out a message to a program’s alumni to let them know about a particular opportunity or there may be an alumni job board that you can post the position on. Finally, don’t forget your own business network. We often hear stories from candidates of how it was a vendor of their new employer that told them about the opportunity, or a friend of the owner. Using your own network, both personal and professional, to get the word out can often be as successful as posting a job ad online. 5. Screen for longevity – Once you receive candidate applications, the next step is to ensure you screen candidates with fit in mind. Ensure your interview questions delve into their motivation for locating to a rural area. Asking questions like ‘what made you consider applying to the role’ and ‘have you ever lived in a rural community before’, ‘what things will you need to take into consideration for this move to be feasible’ will help you to uncover the drivers behind this candidate’s decision to apply and will help to indicate whether this candidate will remain engaged once he or she becomes an employee. Ultimately, having operations in a rural location in Atlantic Canada does pose a recruitment challenge. However, taking the steps listed above should help you identify candidates and ensure that when you hire a new employee, they are the right fit for you and the community your operations are based in. Professional, outgoing and engaging, Katherine Risley brings over nine years of recruiting experience to her role as Senior Consultant with Meridia. Katherine specializes in recruiting top talent for Engineering, Operations, Construction and Supply Chain roles. She has an aptitude for finding strong technical candidates for clients with urban and rural operations throughout Atlantic Canada.